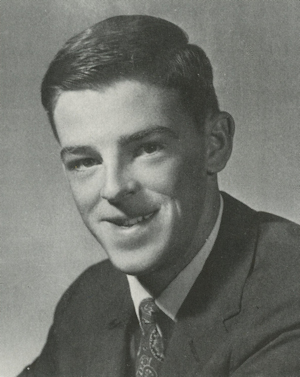 Obituary – Bryce, Thomas Ray « Perry High School Alumni Association, Inc.
﻿Band 64-66; Soph. Class-Treasurer 65-66; Jr. Class-Treasurer 66-67. ﻿Funeral services will be Friday in Cushing for Thomas Ray Bryce, 19, who was killed Tuesday in a fall from a steep cliff near Seattle, Wash.
Services will be at 2 p.m. in Park Place Baptist church in Cushing. with burial in the Cushing cemetery. Bryce was serving in the Navy and was stationed at Seattle. He is the son of Mr. and Mrs. F. R. (Hack) Bryce of Tecumseh, formerly of Perry. Bryce was born Nov. 7, 1949. He was a 1968 -graduate of Perry high school. In addition to his parents he is survived by two brothers and a sister.